Today is my sweet husband's birthday. We celebrated at dinner time. Yummy ribs in the crockpot. Harlee and I headed uptown to Not Just Baby Cakes and picked up cupcakes for the birthday celebration. Happy Birthday, Curtis! Here is the graduation card I created this week. Paper is from October Afternoon. We are in another winter storm watch for tonight and tomorrow. Curtis is on his way home from Idaho Falls, where he has been the past 3 weeks. Tomorrow is his birthday, so he shall be home to celebrate. Have the grandkids tonight and again tomorrow. There is a quilt show here this weekend I would like to go to. Feeling kind of crappy with a head cold the grandkids had to share with their nana. I just realized the other day, that Mother's Day is looming around the corner. And so is graduation for a couple of young folks I know. And never mind that, my hubby's birthday is Friday. So, I started creating some cards yesterday. 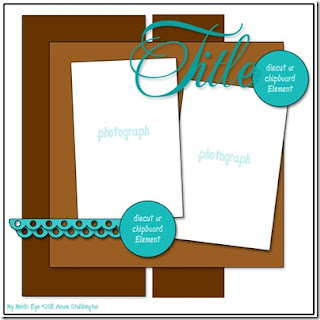 I love to get in my scrapbook leftovers and just hunt for some matching papers and create cards. I haven't done this for a long time. Any way here is the Mother's Day card prototype I came up with in different colours. Personally, I love the yellow one. Here is my photo for this week. Another Harlee photo from when we had a sleep over last night. She painted, used her markers, ate a good dinner, played some Wii and watched Polar Express. Took her back to her mama this morning. I have a scratchy throat. Nic had a runny nose the other evening and I have spent a lot of time with the kiddos this last week. Hope I am not catching something. Missed the deadline for this one though! It is a glorious day outside and to be up near 60F. Most of our Friday snow should melt away today. I am headed to work shortly for half a day and then off until next week. I hope everyone has a lovely Easter, spent with family. We had our celebration on Friday. And I shall join Kirsten and the kids for dinner this evening. Had a sleep over with Harlee boo last night. She was awake at 3am thinking it was time to get up. I told her it was still night and dark outside and to go back to sleep, which she did. She was up a little after 6:30am--she is a little early bird. No big plans for today-maybe a nap since I am tired this morning. No walk this morning as Harlee is still here. In the process of making cards- since Curtis has a birthday the end of this week and Mother's Day is just around the corner. I hope to finish some up today and take a photo or two. Have a Happy Tuesday! Glitz Design has their first challenge-"-Get You Glitz on" Challenge. 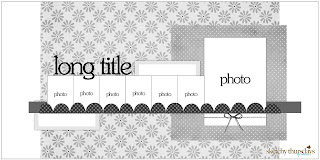 Create a project with your fav Glitz products. Today I was canceled from work and got to create and play in my scrap room. This was the layout that was a result of that process. Got to see Harlee and Nic. A lot of the 12.5 inches of snow we had yesterday melted away today. Bright blue skies and warmer temperatures today. Oh, Where , oh where is Spring?????? The kids were just playing outside a couple of days ago. And the wild violets are coming up in the back yard. And today, we are hit with another big snow storm. I am usually on a cruise when these last big short-lived winter storm hits and I sure wish I was away somewhere warm today. Cooking our Easter dinner today, since I am scheduled to work over the weekend. This weeks photo is of Miss Harlee. Look how pleased she looks with her finished product when we were dying eggs yesterday. Since Kirsten and I both work Easter weekend, I promised Harlee we would dye Easter Eggs today. Got my errands ran early and then I got the eggs all boiled up. I think she had fun and she is pretty independent about the activity this year. Nic was there, he dyed one egg and then ate it. We skyped with Cait while the kids were here so she could feel part of the activity too. Nic was fascinated, showing her everything. This is a photo I took yesterday in Idaho Falls of the falls there. Not quite Niagara Falls, but still pretty impressive. Today I had to say good bye to Curtis for a couple of weeks. I hate good byes anymore. They upset me. I wish I could have stayed longer , but I am scheduled to work the next 2 days and Easter weekend. Ok, so I am spending the weekend in Idaho Falls, since Curtis is here TDY for a couple of weeks. Last week I helped Kirsten clean up Harlee's room and closet--take out too small clothes and shoes. It was traumatic for Harlee, seeing some of her favourite foot attire leave. How can a 4 year old be so attached to shoes??? So, I promised I would find her some new, cute shoes. How in the heck was this nana going to make good on this promise. To the rescue came Gymboree. Now, we don't have one in Great Falls, but there is one here. And I had some Gym bucks to spend and found these cute shoes for her. I would never pay $30 for them, but $11 was an OK deal. I sure hope she like them. Oh, yes, and I found a matching bracelet for her too. Don't I just love having a little girl to shop for again!!! 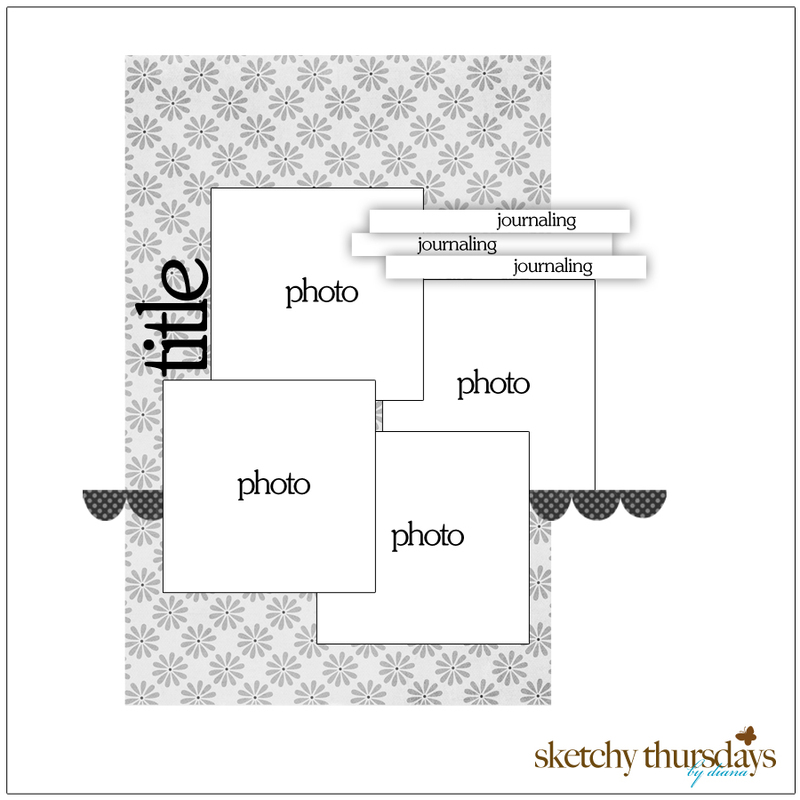 Time again for another sketch challenge on MME's blog. The theme was April Showers. Here's the layout I ended up with. 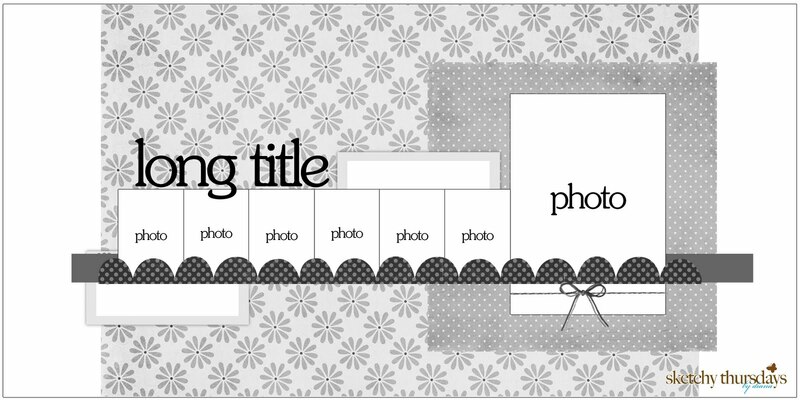 This week I am more on top of things-getting the layout submitting in good time. Have an extra day at home, making sure the weather is clearing before I head down I15 to Idaho Falls. Will have Harlee and Nic at my house for a while this evening. Pictures from when we took Harlee to disneyland last Arpil. and did some grocery shopping after work. Have put off going to Idaho Falls until probably Friday, as we are under another winter storm watch. I don't want to be traveling over the mountains in bad weather by myself. I would rather have safe travels and go early on Friday morning. This weeks challenge is shadows. The photo is one of Nic at Lake MacDonald last fall throwing rocks in the lake. On finishing up the France layouts. Still lots to do, but the pile is getting smaller. You should be happy Cait! On Life- worked the last 2 days and it was so busy. Last evening I didn't get home until after 8pm. Long, long day. I am off now until next Monday. Headed to Idaho Falls to spend the weekend with Curtis , since he is TDY there for 2 weeks. Need to get my house cleaned up today. Looks nice outside this morning. Late this afternoon Curtis and I took a drive out to Benton Lake. The drive around the lake was open and we saw quite a few duck and geese, a couple of pheasants and some hawks. The mountains are full of snow, yet it has pretty much melted here in town after a high around 50F today.